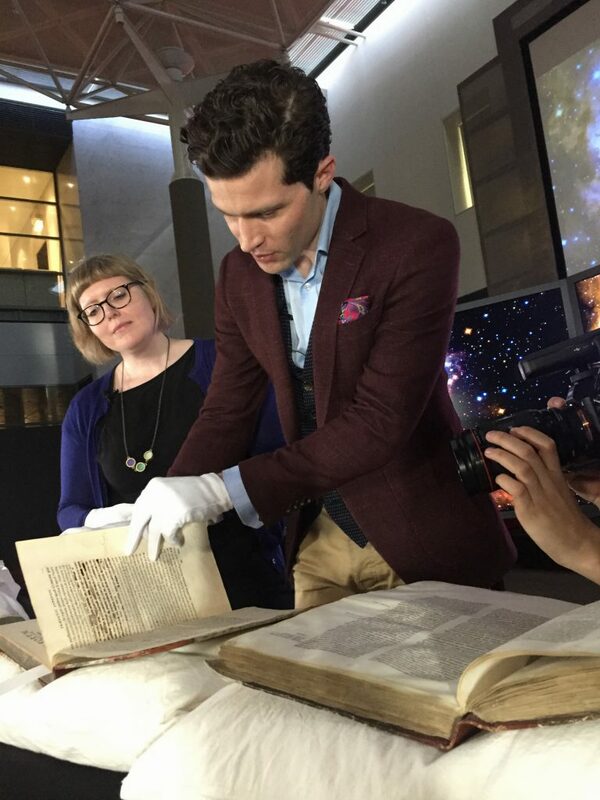 To celebrate National Science Week (12–20 August 2017), we invited astronomer and astrophysicist, Associate Professor Alan Duffy from Swinburne University, to view a selection of extremely rare astronomical texts from our rare books collection. 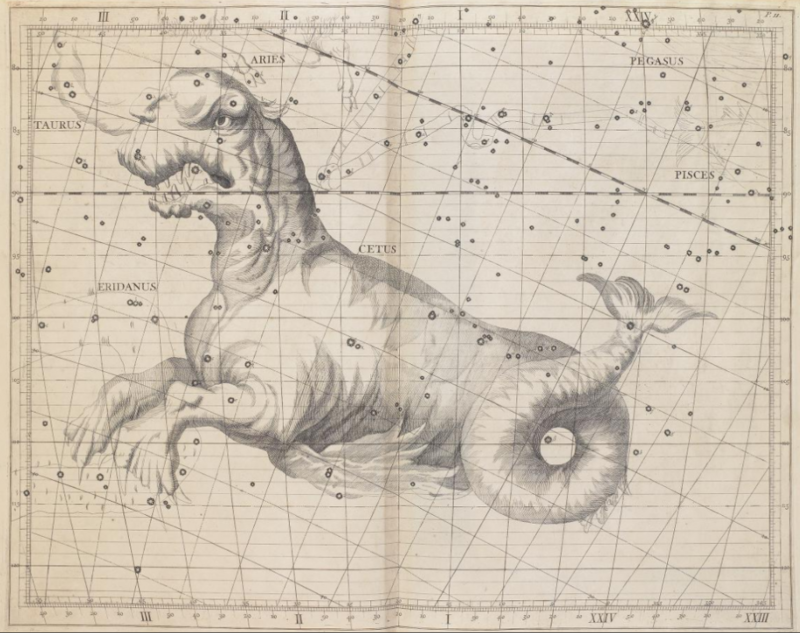 From a first edition of Newton’s Principia Mathematica (1632) to the first Star Atlas ever produced (1729), the collection contains a number of early astronomical books, many of which have been digitised and are available to view online using our catalogue. 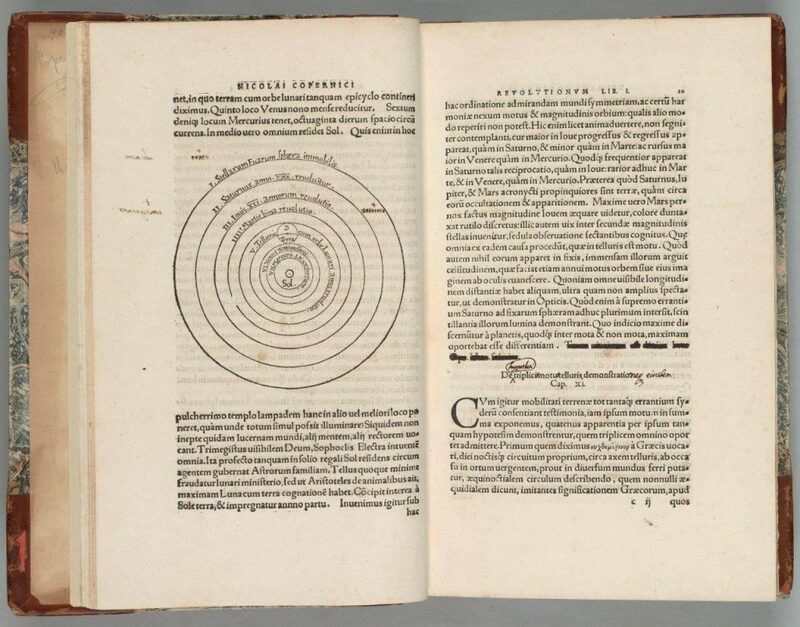 This (pictured above) is a 1566 edition of Nicolaus Copernicus’s De Revolutionibus Orbium Coelestium (On the Revolutions of the Celestial Spheres). First printed in 1543, the text presented Copernicus’s discovery of a heliocentric solar system in which the planets rotate around the sun. This radical theory at the time contradicted the Church’s belief that the earth was at the centre of the universe. It became one of the earliest scientific books to be banned, placed on the Spanish Inquisition’s Index Librorum Prohibitorum (Index of Prohibited Books) in 1616. You can still see alterations to the text that were demanded almost 400 years ago by a 1620 papal decree. Copernicus’s book was not removed from the Index until 1835, and the alterations are still visible in other surviving copies today. 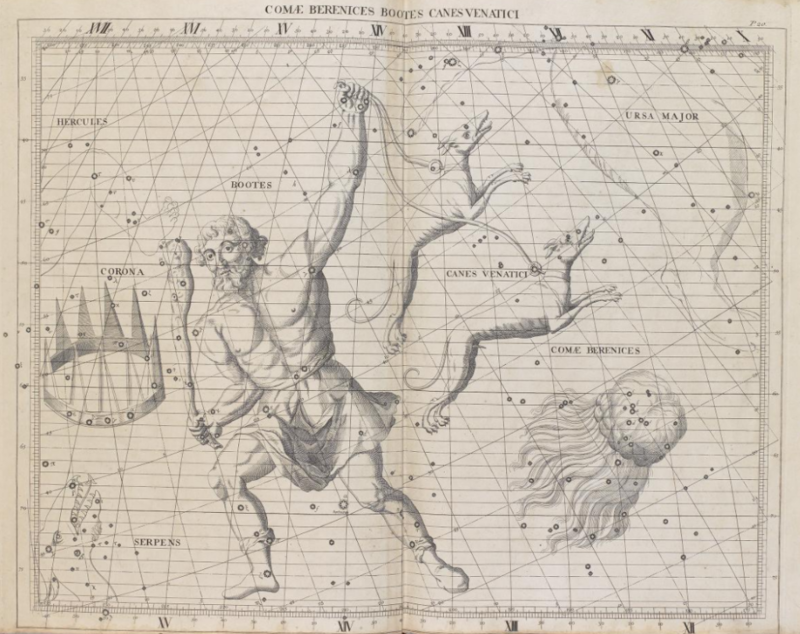 The Library’s rare books collection also includes the first comprehensive telescopic star catalogue and companion celestial atlas, Atlas coelestis, 1729 (pictured below). It was based on observations made by English astronomer John Flamsteed, the First Astronomer Royal who catalogued over 3000 stars. The Library has two copies, one believed to have been owned by Captain James Cook, and taken with him on his voyages on the Endeavour. The exquisitely detailed atlas contains 26 maps of the major constellations visible from Greenwich. The publication enjoyed immediate success and became the standard reference for professional astronomers for nearly a century. You can see a selection of the Library’s most rare and precious books on display in our Mirror of the World exhibition, open daily in the Dome Galleries, 10am–6pm. Want to explore galaxies for yourself? Download the SciVR app to your smartphone or tablet to discover astronomical wonders in your own personal virtual reality tour, developed as part of National Science Week with Swinburne University, OzGrav and CAASTRO. Typo: Principia was first published in 1687. Does this exhibition continue or is it only for science week? Wow this would’ve been heaps of fun. I’ll keep a look out next time for national science week.